* All fares below were last found on : Apr 22, 2019 9:04:22 AM. Fares are round trip. Fares incl. all fuel surcharges, our service fees and taxes. Displayed fares are based on historical data, are subject to change and cannot be guaranteed at the time of booking. 65% of Albuquerque Sunport travelers were over the age of 35. 31% of Albuquerque Sunport travelers were over the age of 60. 5% travelers traveled to ABQ with kids under the age of 14. 26% of ABQ travelers were millennials. 54% of ABQ travelers were female. JFK, MCO, CNM were the most popular destinations visited by First-Class travelers from ABQ. Travelers spent an average of 5.00 days in Albuquerque Sunport. 11:00PM - 0:00AM are the busiest hours at ABQ. Every week, at least 622 domestic flights and 159 international flights depart from ABQ. 743 flights arrive each week at ABQ. 738 nonstop flights arrive at ABQ each week. The first flight to ABQ departs around 6:00AM - 7:00AM. The last flight to ABQ departs around 11:00PM - 12:00AM. July was the month with most bookings for ABQ airport. December was the month with least bookings for ABQ airport. Albuquerque International Airport is New Mexico’s largest commercial airport and is located 3 miles south east of business district of Albuquerque. Served by major US airlines like Southwest and several other premium carriers, it offers non-stop flights to many destinations in US and also covers south of the border and places like Alamogorda, Carlsbad and Clovis and Silver Lake. Book flights to Albuquerque Sunport (ABQ) with CheapOair! In addition to offering competitive airfares to locations most convenient for you, we provide useful information to inform your travel to ABQ. Read below to learn more about ABQ flights, and count on CheapOair for the best deals on all of your travel booking needs. There are plenty of options available for ground transportation which includes buses, local shuttle service, private taxis, tour and charter service and also trains. While bus and shuttle services are scheduled at regular intervals and cover major destinations, trains operate both north and south of the airport. 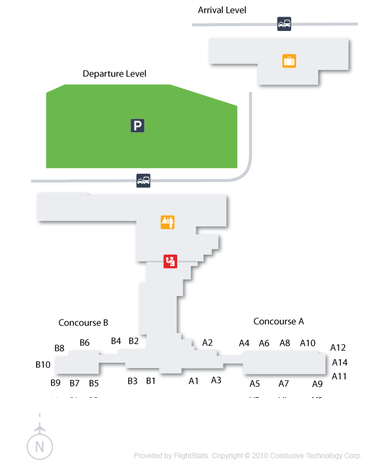 The airport offers a host of services to travelers, from wireless internet access, ATM’s, car rental agencies, restaurants to facilities for disabled including elevators in the parking and wheelchair assistance, it makes sure that travelers enjoy their stay in the terminals. 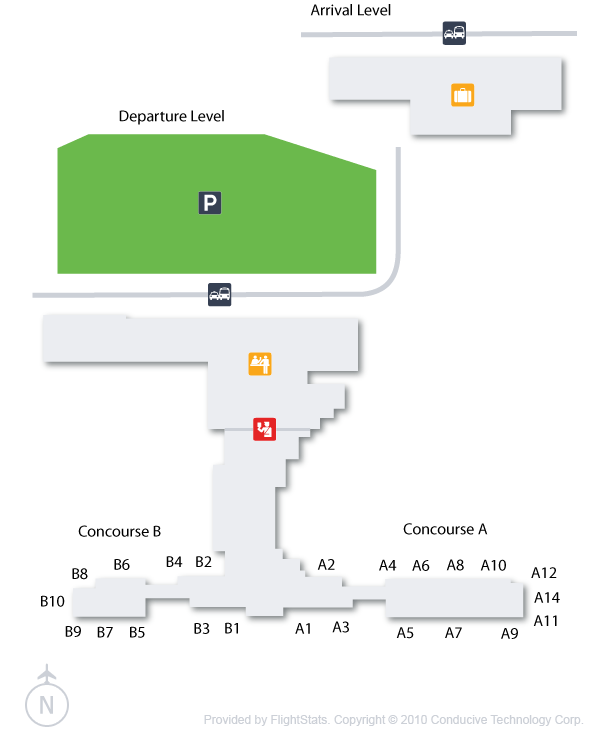 The four level parking structures in the airport provides parking space to more than 3400 automobiles. There is also a long term parking lot situated north of the structure offering space to another 500 automobiles while space for another 400 is available in a parking lot reserved for credit card/debit card users. Rate generally ranges from $1 for 30 minutes to $7 for a day. Where You’ll Find Fine Vegetables and (Surprise, Surprise) Fine Art in Santa Fe! Find cheap hotels in Albuquerque - Lowest rates for all sorts of Albuquerque hotels!